For the past two years, running shoe maker ASICS has stealthily amassed a 400,000-strong army of runners who believe that the path to faster race times is through smarter, more efficient training programs that feature lower milage and more rest. 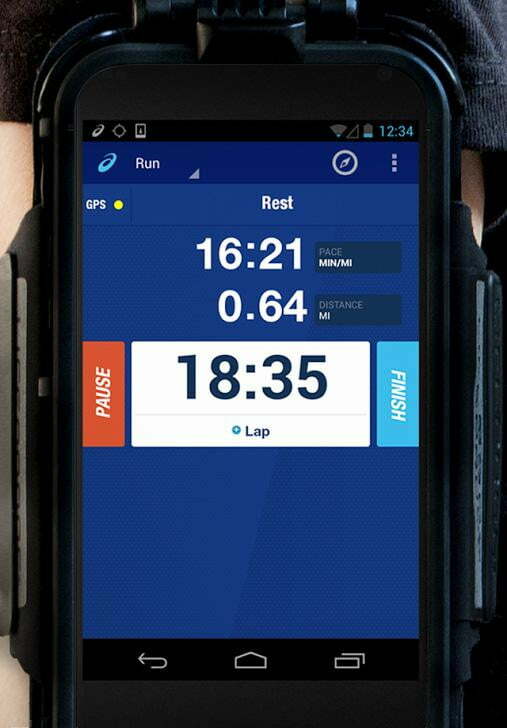 And now the company is taking data-powered running to the next level with the latest version of its free iOS and Android app called My ASICS. My ASICS 2.0, which updated last week, provides much more than run trackers that simply record running stats like distance, pace, route, and time. It does all that, too – but where My ASICS really jumps to the front of the pack is in the way it plans and forecasts runnings schedules. 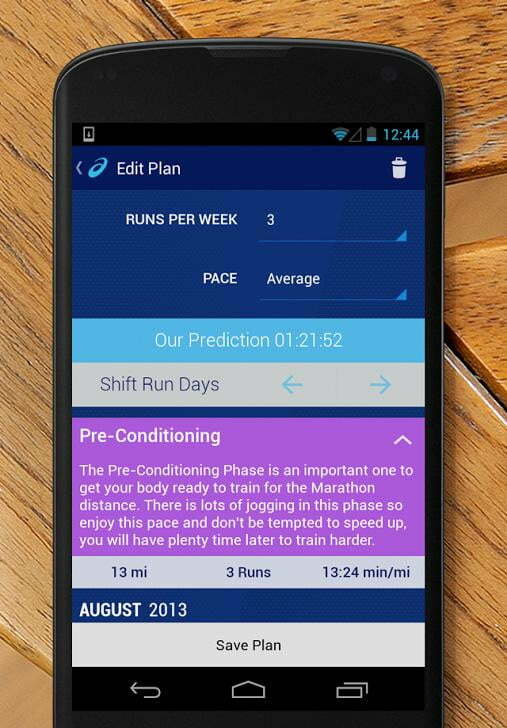 By combining seven years of performance training data from the company’s in-house Institute of Sport Science with user profile information, including running goals and the dates of upcoming races, My ASICS creates customized training plans for each runner. In the past, My ASICS runners who wanted a customized training plan had to log into the My ASICS website to set everything up. But with the update released last Friday, everything from sign-up to fine tuning personal training plans can be done from inside the app. Once you’ve signed up and entered your goals, My ASICS will create a schedule for your running; place it on a calendar; and tell you when, how far, and how hard to run. 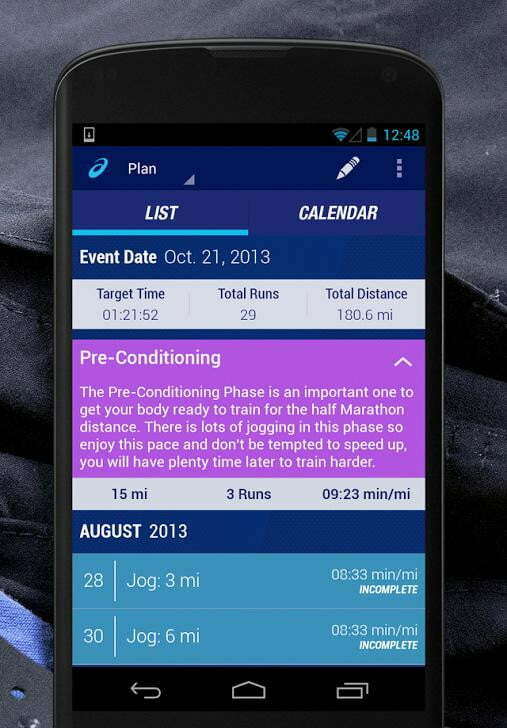 The app will also remind you to run or ask you how your run went, depending on how you’ve set it up. It’s like having a your own coach analyzing and encouraging you right from your phone. So far, the app appears to be doing its job. Mrvalijevich says that over 5 million runs have been recorded, and that 78 percent of the people who completed their plans have reached their goals. If there is a marathon in your future, or even a local 5K, My ASICS just may be the secret weapon of your success. Check out My ASICS for free on iOS and Android.